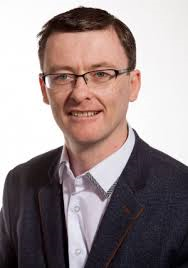 Sinn Féin Senator David Cullinane has said that the government’s water charges debacle warrants a massive public response and he called on people to “turn out in their droves” for the Right2Water National Demonstration in Dublin on August 29th. “The government’s water services policy is a complete and utter failure. It is now clear that the vast majority of people reject water charges and they rightly see Irish Water for the absolute shambles that it is. “Enda Kenny and Joan Burton seem content to drive forward with their disastrous water policy at all costs. They are happy to stumble from one crisis to the next. “Only recently, we saw this detached government introduce pick-pocket style legislation that will allow the government to take unpaid water charges from the wages and social protection payments of struggling families. They did this with complete disregard for the financial pressures that have been placed upon people by their austerity and cuts. “The Eurostat ruling, that Irish Water cannot be considered “off-balance”, has underscored the government’s catastrophic mishandling of this issue from the start to the present day. “Over the last couple of days, we have learned that charges are being brought against anti-water charges protestors in relation to events in Jobstown last November. This is another pathetic attempt to intimidate and silence the campaign against water charges and Irish Water. It won’t work. “Sinn Féin would dismantle Irish Water, keep water services in full public ownership and replace Irish Water with a public water utility. This utility would have a new model of governance, funding and delivery with full public ownership and democratic control and accountability. “Sinn Féin in Government would establish an independent Commission on Water Services to examine the best public ownership model. “The government’s water charges debacle warrants a massive public response. Sinn Féin is calling on people from every community across Ireland to come out in their droves and support the Right2Water National Demonstration on August 29th.